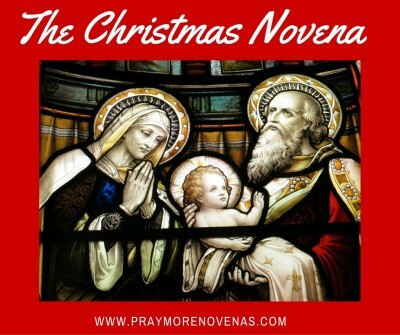 Here’s Final Prayer of the Christmas Novena! Dear my fellow Brothers and sisters. i request you to join me in prayer for my hypertension illness. I am currently on medication but i humbly request you to pray for my situation so that God can heal me. He healed many before and everything in him is very possible. I am meant to go for a check up any time kindly pray for me so that the results will come out negative in Jesus name. Mary Mother of God intercede for me. St. Jude please remember me and intercede for me. Please keep me posted for the next novena. I love to pray with them. It has help so very much since I lost my son, brother and sister. May God bless you all. st Therese teach me how to love every day . Please heal my father of his sickness right now, whatever needs healing on his body. Comfort him with your love oh Lord. I ask this through , Jesus Christ , our Lord. Amen. Thank for allowing us to pray with you. May the Peace of the Lord be with you. Amen. financial stress. Sale of home by daughter-in-law. For a more peaceful year and an increase in acceptance and joy within family. Happy Christmas and Happy New Year too! Thanks for helping us pray always and May the Lord bless you always! Thank you for this website that is so enriching with the things of God. Continue with the good work. The Lord bless you abundantly. My family and I appreciate you. Enjoy a wonderful year ahead. Merry Christmas! Thank you for your Christmas Greeting. Wish you and your loved one’s the same. Heavenly Father, thank you for sending us your Son to teach us your plan for us. Through the prayers of all the faithful praying these Novenas, my prayer was answered. My son and his wife, who have suffered the loss of an unborn child, are expecting again. Please protect the fragile life growing in my daughter in law’s womb, and protect the growing baby of my other son and daughter in law. We are so blessed, but we know that you are our guide and protector, and we will honor your plan for us. Private intentions of my own. Sale of Henry and Doris’ house. Relax and feel good about life. Dear God please help my Mama Linda she have a liver cancer she cannot talk and walk now please help us..
Lord, please increase Allison’s and Adrian’s faith and bring them close to you! Convert their hearts! Thank you for Everything! Pour l’Église et les Prêtre. The Pray More Novenas has been such a blessing to me. I find the idea of praying with so many other people comforting spiritually and emotionally. I need to remind myself that God has a reason for my pain and suffering and these novenas help. Thank you both for your dedication and faithfulness. May God bless us all. Thank you Lord for all the blessings that you have bestowed on my family. Please continue to watch over them and may no harm come unto them. Oh God I ask you to open ways so I get money to pay for my children’s education at university level. Dear Lord Jesus thank you so much for all that you have done for me and my family. I would like to request you to bless me and let me have a safe delivery as my due date is very close now. I ask you to keep my baby safe and healthy. I also ask you to bless my husband as he has his railway exams coming up so that he remembers everything he studies so that his neck pain is healed. I would also request you to bless my entire family and keep us all safe from dangers, accidents, pain, sickness, death and evil. Keep protecting us like you always do. Bless the ones who are sick and help them get well soon. Thank you Lord, father God for everything. We your children love you. Merry Christmas everyone, our Savior is born!! I Pray that everyone has a Blessed day and that our dear Lord answers your petitions at the right time. Pray that all goes well today. Keep me in good spirits for Jesus sake. Thank you. I wish you all a blessed Christmas! May you all have a wonderful day with your family. God, I pray for weatlh and good health for myself and love ones. I lift up everything to you, my Lord. Please, make all my dreams come true. Thank you for all the blessings and love. I love you so much God!! :) Amen. get it back. Please pray for me that it won’t take too long before getting my car back. I feels so stranded without it. Thank you again for your prayers. Merry Christmas.